Engineered by Klein Cutlery, these trimmers cut heavy textiles, construction paper, cardboard, plastics and multiple layers of fabric. 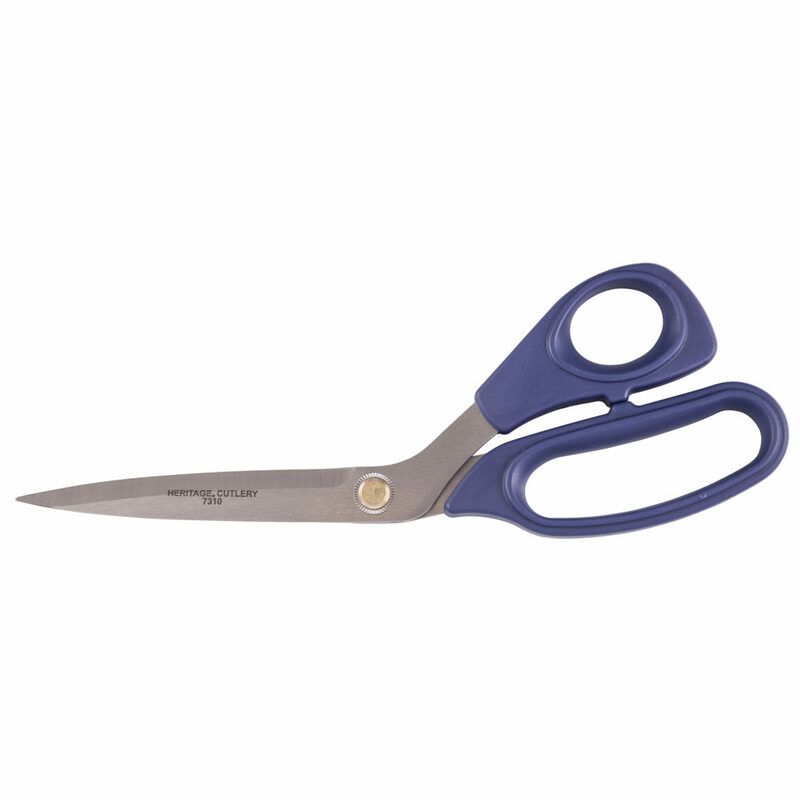 The extra-long blades cut more material in one motion while the ambidextrous, soft, blue handle with extra-large bottom ring allows you to cut for longer periods of time without the usual cramping of the hands. Bent handles glide smoothly along flat surfaces and reduce wrist strain. Precision ground high-quality stainless steel blades produce a sharp, clean, uniform cut. Locking nut and bolt design lets you adjust blade tension maintaining optimum cutting performance.